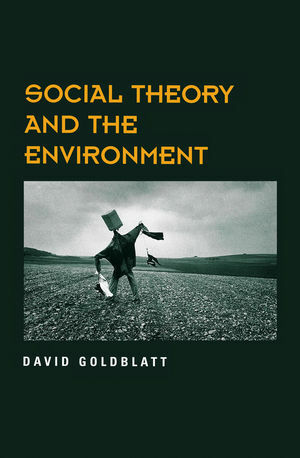 This book establishes whether contemporary social theory can help us understand the structural origins of environmental degradation and environmental politics. David Goldblatt is a lecturer in the Faculty of Social Sciences, at the Open University. Introduction: Social Theory, Environmental Degradation and Environmental Politics. 1. Capitalism, Industrialism and the Transformation of Nature: Anthony Giddens. 2. Urbanism, Globalization and Environmental Politics: Anthony Giddens. 3. The Political Ecology of Capitalism: Andre Gorz. 4. Social and Cultural Origins of Environmental Movements: Jurgen Habermas. 5. The Sociology of Risk: Ulrich Beck. Conclusion: Social Theory, Socialism and the Environment. * One of the first major attempts to assess the contributions of contemporary social theory to the study of environmental issues. * Analyses the work of some of the most influential contemporary thinkers, including Anthony Giddens, Andre Gorz, Jurgen Habermas and Ulrich Beck. * A critical, challenging and engaging work which addresses some of the most important issues of our time.